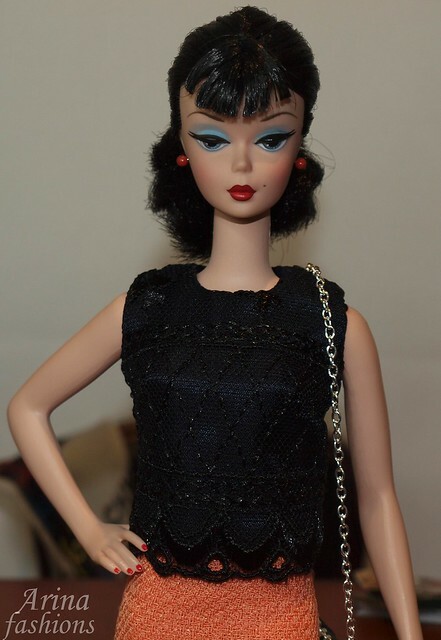 The perfect holiday outfit fits Fashion Royalty Classic doll, Victoire Roux, Vintage Barbie, Barbie Replica and Silkstone Barbie dolls. A classic set cut from a beautiful white brocade, fully lined and features a coat with three-quarter length sleeves with real mink cuffs and the accompanying strapless sheath dress. The dress is fully lined with snap back closure. Necklace and bracelet made of 2 mm clear Czech beads and Swarovski crystals. Drop Swarovski crystals earrings have silver loop posts. A pair of elbow length gloves in soft white lycra complete the ensemble. 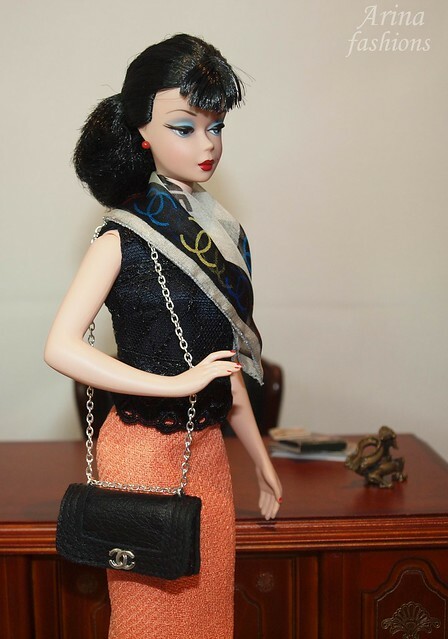 Custom order for Silkstone Barbie. Custom order for Silkstone Barbie. OOAK outfit. 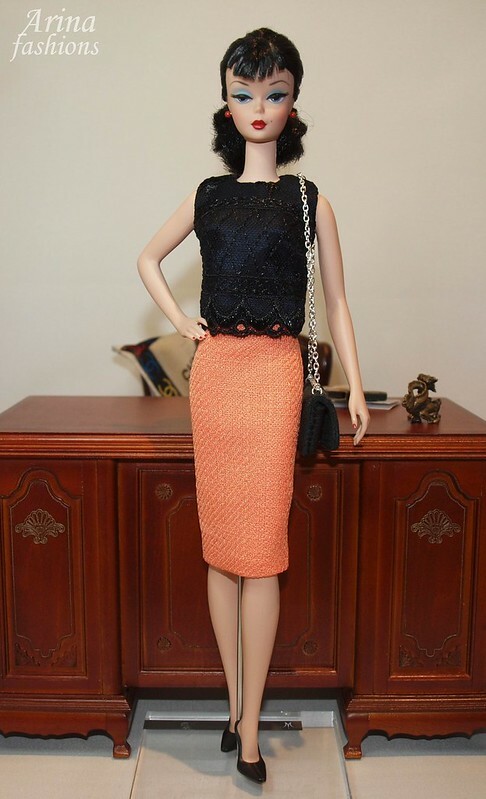 This is classic look fashion set. The boxy jacket fully lined with three-quarter length sleeves and a richly beaded in orange and black beads. Worn underneath is a top in navy blue with an overlay of black lace. The top is fully lined with snap back closure. The black leather functional purse with silver Chanel logo closes with a hook. 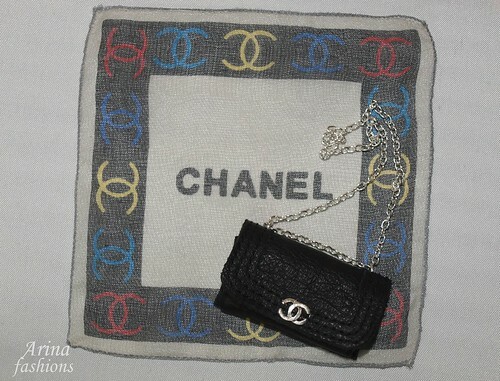 The Chanel logo scarf is the perfect finishing touch. 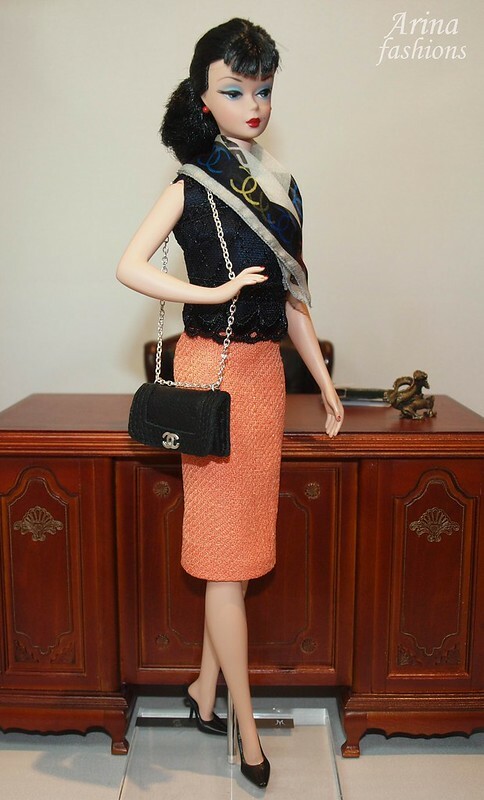 This fashion fits Silkstone Barbie, Poppy Parker, and other similar dolls. 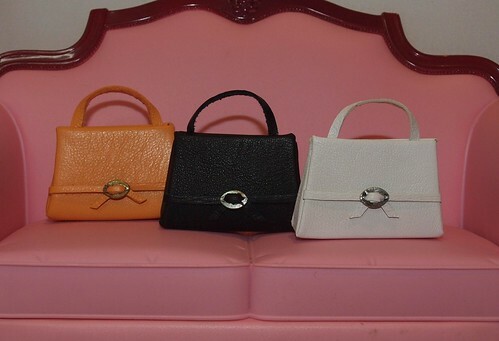 If you willing to have a vintage style bag you can do it at my etsy store now. This fashion combines a classic look with a modern twist. The tailored beige wool coat is fully lined and closes with a hooks. The dress cut from owl print fabric is fully lined and closes at the back with snaps.